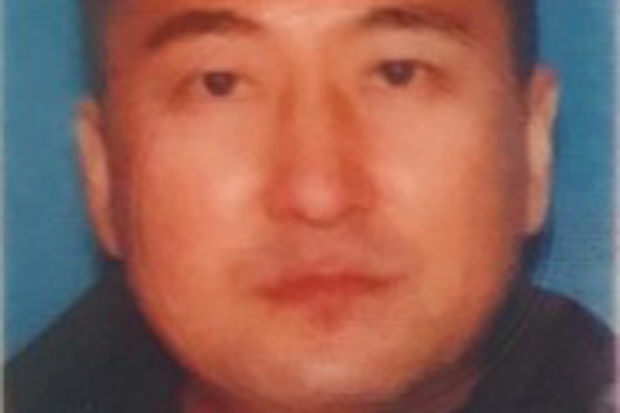 Police were looking for Shengbin Quan, 43, after they said he attacked his girlfriend with a dumbbell in Queens on Oct. 17. QUEENS — A man struck his girlfriend in the head with a 3-pound dumbbell after they got into a fight inside a Flushing apartment early Tuesday morning, police said. Shengbin Quan, 43, attacked his 48-year-old girlfriend after a verbal dispute inside the home near Sanford and Barclay avenues at about 1 a.m. on Oct. 17, according to the NYPD. The woman suffered a laceration to her head and was taken to New York-Presbyterian Queens, where she was treated and released. Quan, who fled the home after the attack, is described as standing 5-foot-7 and weighing 170 pounds, police said. Anyone with information is asked to call the NYPD's Crime Stoppers hotline at 1-800-577-TIPS (8477) or for Spanish, 1-888-57-PISTA (74782). The public can also submit tips by logging onto the Crime Stoppers website at www.nypdcrimestoppers.com.